Benefits In Opening Computer Center, Advantages in running computer center after GST, Opportunity in Computer Education Sector. GST is starting from Ist 2017 in India and this will definitely change the image of Indian economy in the world. If you are running in computer center or if you want to open computer center then here is one of the best opportunity by Akhil Bhartiya Computer Shiksha Abhiyan Now. GST is one of the best step to make DIGITAL INDIA. Now everywhere use of computer will increase and so it is necessary for everyone to learn the computer for different purposes so people will try to learn computer anyhow in village, tehsil, city etc. Use of internet will also be increased due to digitization, it will also force people to learn computer in a better way so that no mistake will take place while doing online work. With the increase of computer demad of IT professional will increase so there is good scope in computer sector hardware and software. 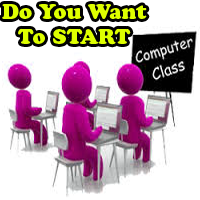 If any one have good knowlege of computer then no doubt there will be good chance to get good job in government and private sector, this will also increase the students in computer centers. Within 10 years business tycoons will give jobs to approx 18 lakhs of people in India. Mukesh Ambani Of reliance industries will give job to approx 5 lakh people in India. TATA will give give job to 50 thousands IT professionals In India. Lava mobile company will give job to approx 1 lakh people. DELTA company will give job to 2 lakh people. There are good chance to get job in TATA, Reliance, Infosys, Aditya Birla group, other private and government sectors too. Now there is need of good computer centers in India where people can learn computer to perform there necessary work online and offline. 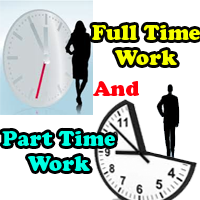 So definitely there is good chance to earn by establishing RECOGNIZED computer Center. Akhil Bhartiya Computer Shiksha Abhiyan(ABCSA) is working for several years successfully In India, it provides FRANCHISE to open computer centes in Village, Tehsil, City etc. 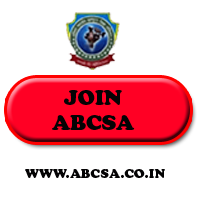 Join ABCSA know and earn from Ist Day. कैसे खोले कंप्यूटर सेन्टर भारत में?